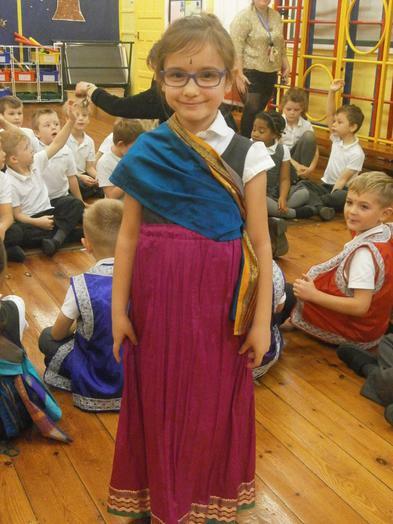 During International Week, November 2016, the children have been learning all about India. 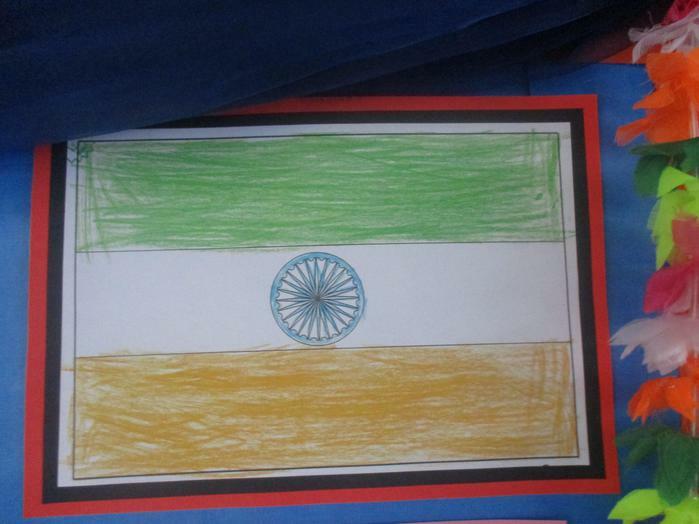 They have been finding out about the flag and where India is, in the world using atlases and information technology. 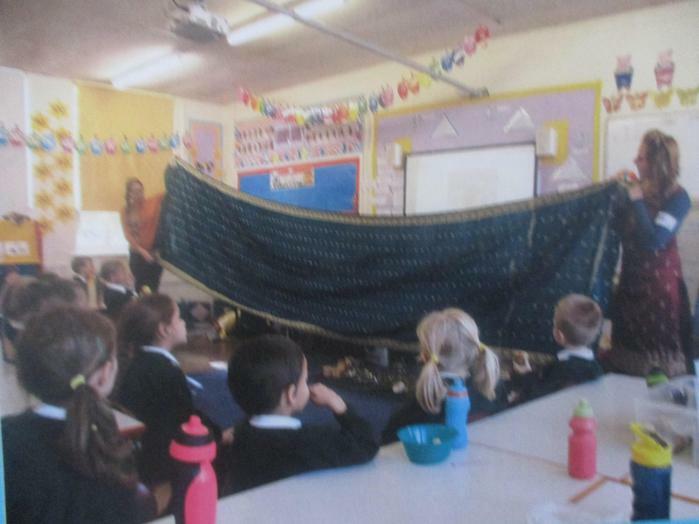 Mrs Richards came in to the classes and shared some of her experiences in India. 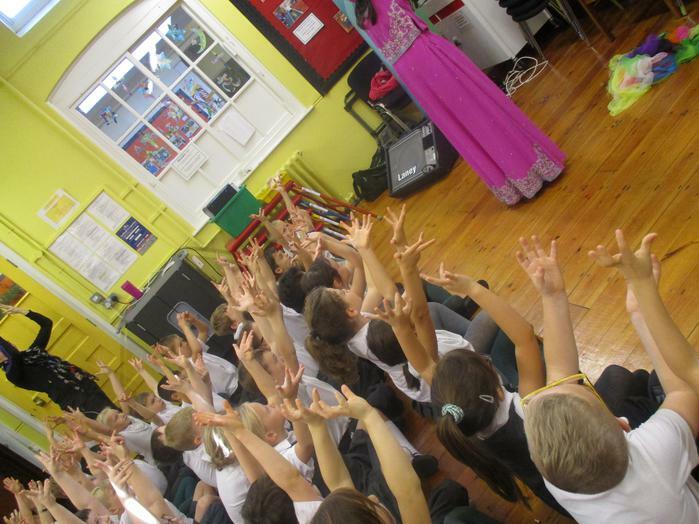 She took the children on an imaginary trip to an Indian school travelling by plane and tuk tuk. 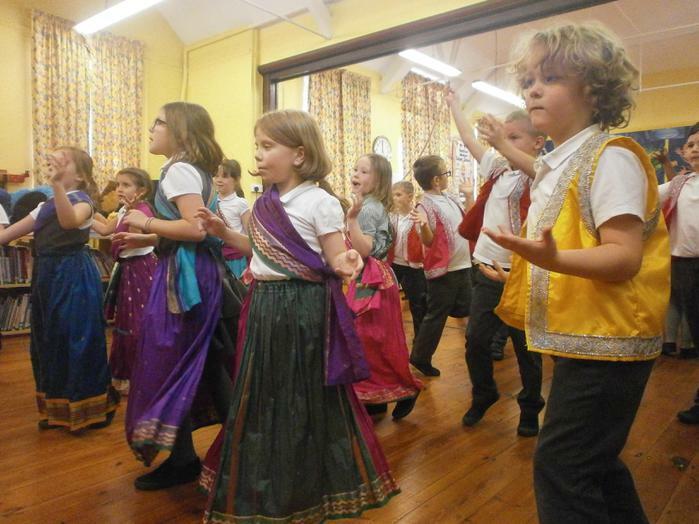 All the classes took part in an Indian dance workshop where they could dress in some typical Indian clothes. 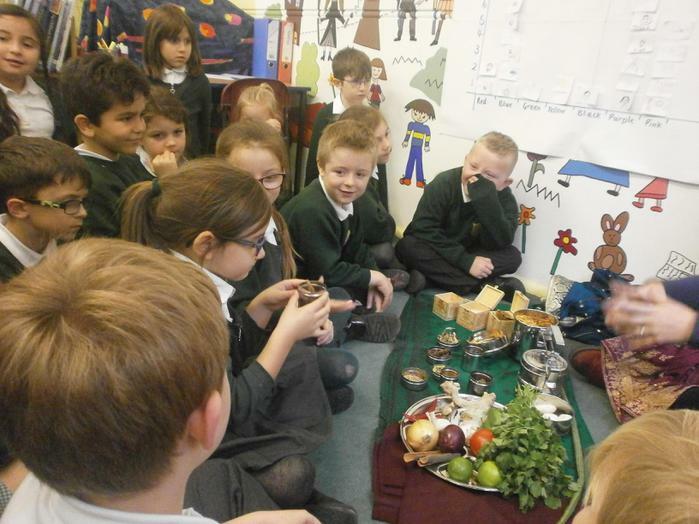 Some classes made Indian curry in the kitchen classroom. 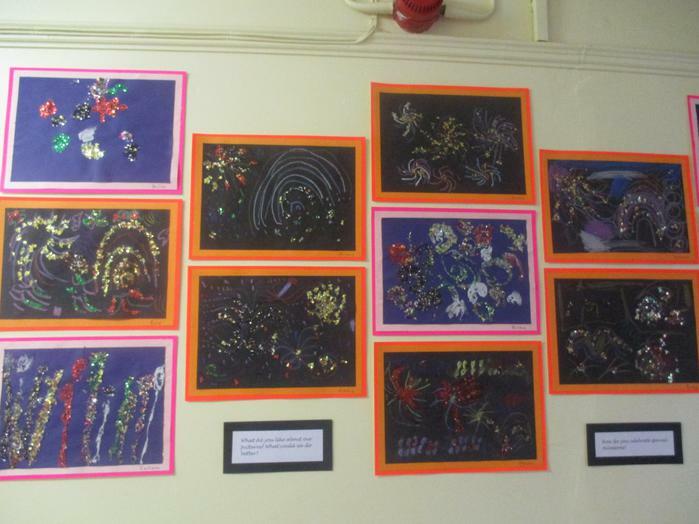 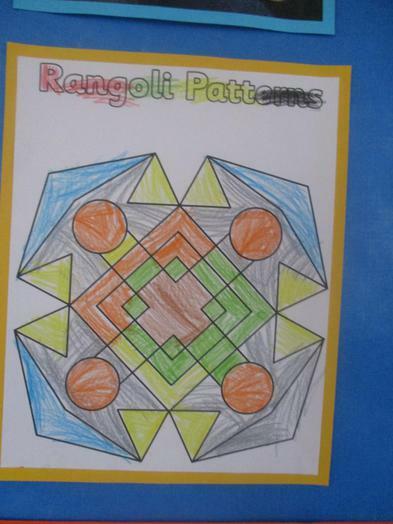 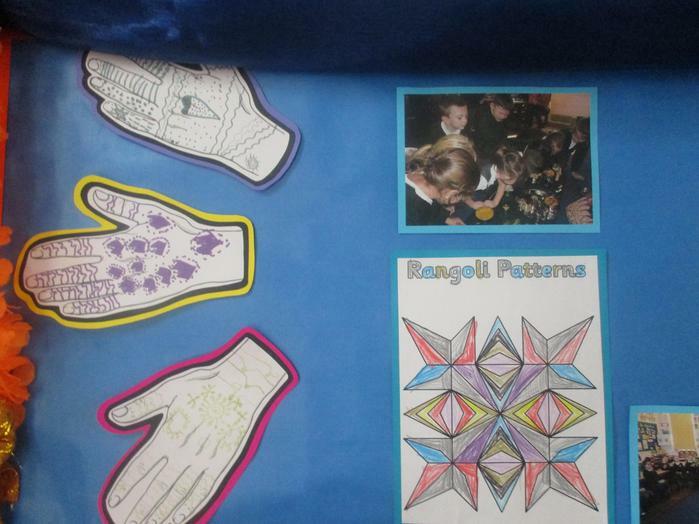 In art some of the children made rangoli patterns; a colourful design made on the floor near the entrance to a house to welcome guests.